This course is for managers and supervisors in any sector, and any organisation worldwide. It’s designed to get managers up to speed on the practical actions they need to take to handle Health & Safety in their teams. The purpose of the course is to give delegates an understanding of how to manage Health & Safety in the workplace to create a safer working environment for everybody. Delegates are required to sit an assessment and complete a small project; both contribute towards the final pass mark. 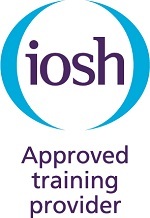 After successfully completing the course, delegates will receive an official IOSH Managing Safely Certificate.